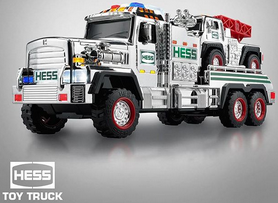 It has arrived – the 2015 Hess Toy Truck Commercial is here! 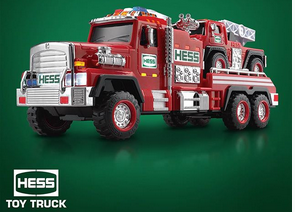 The Hess Truck is back in 2015 with the Hess Fire Truck and Ladder Rescue. 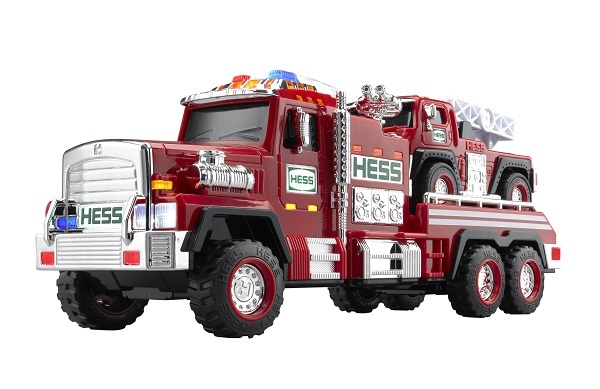 Complete with flashing lights, sirens, a searchlight and extendable ladder, the 2015 Hess Toy Truck will make sure you’re ready for any emergency. We’ve also included 5 Energizer batteries pre-inserted into this year’s toy so the truck is ready for action, right out of the box! If you’re searching for the perfect holiday gift, look no further! The 2015 Hess Fire Truck and Ladder Rescue is available at bit.ly/HessToyTruck2015, get yours before they’re gone! Every year the latest and greatest toy truck design is kept as a closely guarded secret until just before the toy goes on sale. No one wants to know their presents before mom, dad or Santa brings them, right? Just like the surprise we each get when we unwrap our holiday gifts, we like to create a special day where we surprise our fans with that gift of the reveal as we get close to our selling season. That’s why we keep the design and look of the toy top secret every year. 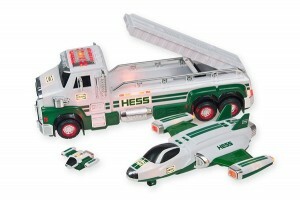 It’s part of the Hess Toy Truck tradition and has been since the first truck was revealed in 1964. It’s one of the many things that helps make the Hess holiday season so fun and exciting! 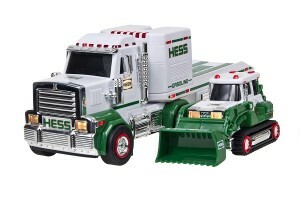 What will Hess Toy Truck reveal next year?